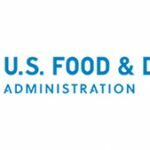 JBS Tolleson, Inc. recalls 6,937,195 pounds of raw non-intact beef products over concerns of Salmonella Newport contamination. According to the CDC, there are currently 57 reported cases across 16 states. No deaths have been reported. 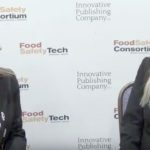 A traceback investigation involving store receipts and shopper card numbers enabled FSIS to trace the reported illnesses to JBS “as the common supplier of the ground beef products”. Johnston County Hams recalls more than 89,000 pounds of RTE deli loaf ham products over concerns of adulteration with Listeria monocytogenes. The CDC and other health agencies are monitoring the outbreak, which has thus far infected four people, and one death has been reported. Recalled products were produced between April 3, 2017 and October 2, 2018. Also connected to this event is the recall of Callie’s Charleston Biscuits, which may contain ham from Johnston County Ham. Canteen/Convenco recalled more than 1700 pounds of RTE breaded chicken tenders with BBQ sauce and hot sauce. The products were misbranded, as they may contain milk, and this was not declared on the finished product label. Thus far there have been no reported cases of adverse reactions due to consuming the products. 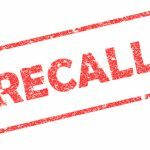 Ukrop’s Homestyle Foods has recalled more than 18,200 pounds of RTE meat and poultry deli-sliced products over concerns of product adulteration with Listeria monocytogenes. The products were produced and packaged from September 14–October 3, 2018. No confirmed illnesses have been reported to date.